Overview - Sharp Ferro Alloys Ltd.
Ferro Alloys are alloys of iron with other elements like chromium, manganese, silicon, tungsten, molybdenum or vanadium. Ferro Alloys are essentially used to impart certain physical and chemical properties to a particular grade of steel e.g. change in tensile strength, ductility, hardness, corrosion, resistance, wear resistance or abrasion resistance properties. 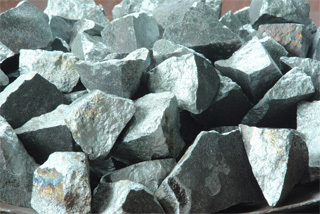 Ferro Alloys are also commonly used for deoxidation, desulphurisation and refining of steel. The use of Ferro Manganese and Silico Manganese, Ferro Chrome in the production of carbon steel is primarily because of refining and deoxidation of steel. SFAL’s portfolio of Ferro Alloys includes essential alloys such as Ferro Manganese (FeMn) and Silico Manganese (SiMn), Ferro Chrome (FeCr). These are supplied in several shapes and form factors- from billets and ingots to powders, fillers and allied reinforcements.